In this letter to the Times newspaper, a correspondent criticises the discontinuation of widows’ pensions for boatswains, gunners, and carpenters. 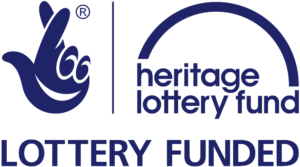 “Nauticus”, as he calls himself, goes as far as to suggest that the current regulations regarding widows’ pensions in the Navy amount to a war against its servicemen. These issues were much debated in parliament at the time. You can find extracts from these debates in our Library, and you can also find out more about war widows in the Victorian period in our History pages. 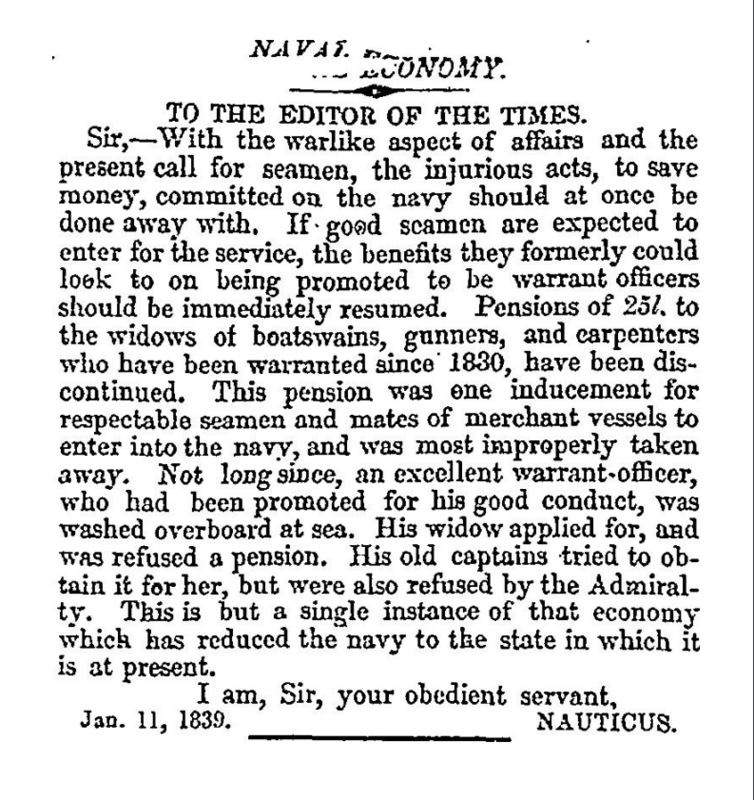 Nauticus, “Naval Economy”, Times (12 January 1839), p.5.